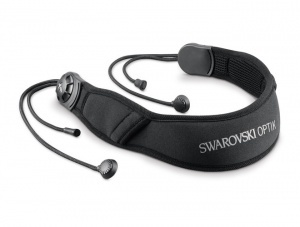 The Swarovski Optik comfort carrying strap pro has been specially developed for the EL FieldPro range. The wide carrying strap features a durable outer material. It also has two pockets, which could be used to hold replacement batteries for the EL Range or the Swarovski Optik moist cleaning cloth. Suitable for all new EL FieldPro and EL Range binoculars.